Home giveaway graftobian Winners! Graftobian Global Corrector Palettes Giveaway! Winners! 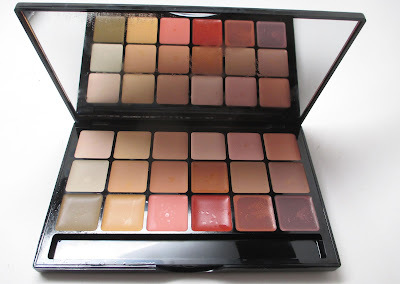 Graftobian Global Corrector Palettes Giveaway! Thank you so much for participating in my last Graftobian giveaway. It was such a hit! I hope you love the new Graftobian Global Corrector Super Palette and the new Hi-Lite and Corrector 5 Pan Palettes as much as I do. Winners, please send your shipping info and name to makeupbyren@yahoo.com Who ever emails me first chooses between the Graftobian Super Corrector Palette and the 5 pan set. I have plenty more giveaways coming soon, including my Ofra Eyeshadow and Liquid Lipstick Giveaway going on right now. Congrats to winner and thanks everyone for your support!